Racoons can be very damaging once inside your property. Because raccoons are nocturnal and are only active at night raccoons can penetrate ones attic, chimney or crawl space without one knowing. Typical signs of raccoons are chattering noises and loud walking or banging inside ones attic, or crawlspace. *Remember raccoons are a vector for Rabies, but not all Raccoons have it. 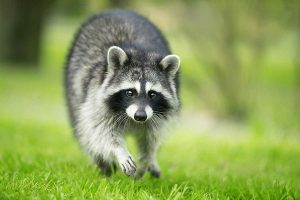 If you see a raccoon during daylight hours acting strange or showing signs of rabies please call your local NC animal control officer to report.